Calgary is often considered one of the top ten cities in the world to live, and we happen to agree! Calgary has so much to offer, and if you’re considering moving here, we wanted to share with you what we love about our city. 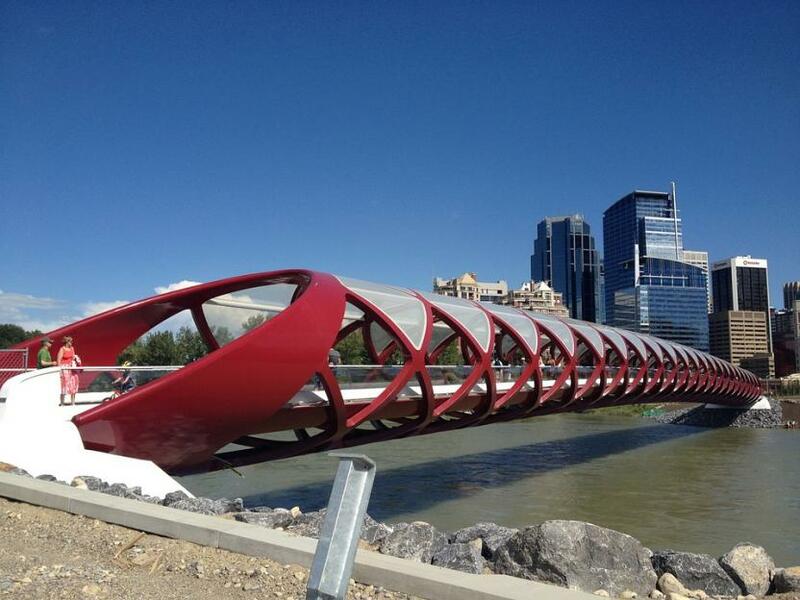 Bordering the Rockies, Calgary is a clean and beautiful city, with a friendly atmosphere and strong sense of community. Approximately 1.2 Million people live here, making it the largest city in Alberta, and third largest municipality in Canada. Within city limits, the top rated attractions Calgary offers include Spruce Meadows, Fish Creek Park, Prince’s Island Park, The Calgary Stampede, Heritage Park and Big Rock Brewery. Honorable mentions go to the Calgary Tower, The Peace Bridge, and the Saddledome. These are the things you think when you hear ‘Calgary’. About an hour and a half to Banff and Lake Louise, this is a popular destination for us. Whether it be a day trip or a weekend getaway, they offer both fantastic winter and summer activities. Taking the Banff Gondola, spending time in Banff’s charming downtown and snapping pics in front of Lake Louise are a must for every Calgarian, new or seasoned. The Calgary Stampede is by far Calgary’s largest tourist attraction. People come from all over the world to partake in the festivities. Chuck Wagons, daily concerts, rides and deep-fried everything, the Calgary Stampede is ten days of fun. Downtown Calgary has something for everyone. Diverse cuisine – from world-class restaurants to food trucks, shopping the unique stores on Stephen Avenue, Village Ice Cream and Kensington, which is considered the “Village in the City,” offers great pubs, Crave Cupcakes and The Plaza. Prince’s Island Park borders the Eau Claire Market and it is a little piece of solace in the middle of downtown Calgary. Home of many events including the Folk Music Festival, Canada Day celebrations and Shakespeare in the Park, Prince’s Island Park is a beautiful place to be. While these are just a few of our favorite things about our city, Calgary has so much more to offer. Even if you’re not planning on moving here anytime soon, come visit us, you won’t be disappointed.